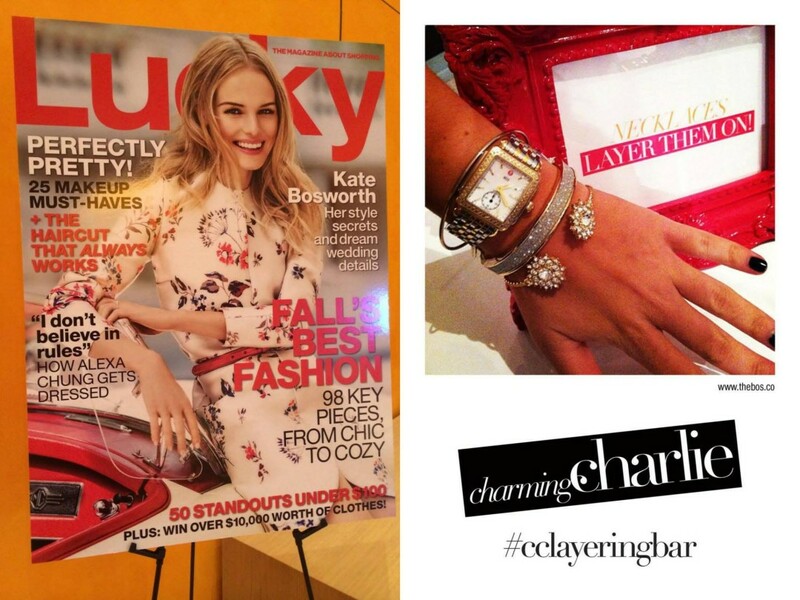 Lucky Fabb is a blogger conference that occurs every fall in NYC. Our booth concept: Layering bar. Layer your favorite bracelet or necklace look, instragram a photo and pick up your photo from the booth. I left Charming Charlie before the event occurred, but I selected the sponsorship, selected the swag and planned the event before I left.